Get That Tired Old Leaky Roof Repaired and Painted Today, Get A Professional Roof Restoration and Get Your Roof Like New Again. Is your roof looking tired and dull? A roof restoration can lift the appearance of your homes roof at a faction of the cost of a complete roof replacement. All roofs require repairs over a period of time, usually there are broken roof tiles or rusted valleys that require replacing and in the more extreme cases the roof may need to be pressure washed and painted. Westcoat® team are experienced in all aspects of roof repairs and restorations that will have your home water tight in no time. Tiled roofs become faded and dull over time and require the roof to be painted. A Roof restoration will enhance your homes look and protect and seal your roof, our roof coatings are a thick acrylic roof membrane that wont peel or blister standing up to Perth`s harsh weather conditions for years to come. Our roof restorations are available in a range of 36 colours that will enhance your home with a brand new look. So call Westcoat® today for a free inspection and the right advise and we will provide you with a detailed quote on you roof restoration. Roof repairs and fix any and all roof leaks. The roof has one coat of primer applied to the complete roof. It may surprise you but over half our work comes from fixing up Perth`s dodgy back yard operators poor workmanship in many roof restorations that could have been installed for not a lot more money by qualified tradesmen the first time. Theres more to know than just painting a roof as some of these customers find out the hard way when the winter rains return and they can`t get in touch with the original contractor. We at Westcoat® – Perth`s Roof & Gutter Restoration Specialists are so confident of our service, products and workmanship on all our roof restoration and coatings that if you roof peels or blisters we will paint it absolutely free, we guarantee our roof coating workmanship for 10 years we will re-paint your roof absolutely free. Its important to understand what roof coating warranty you are getting once your roof restoration has been installed. 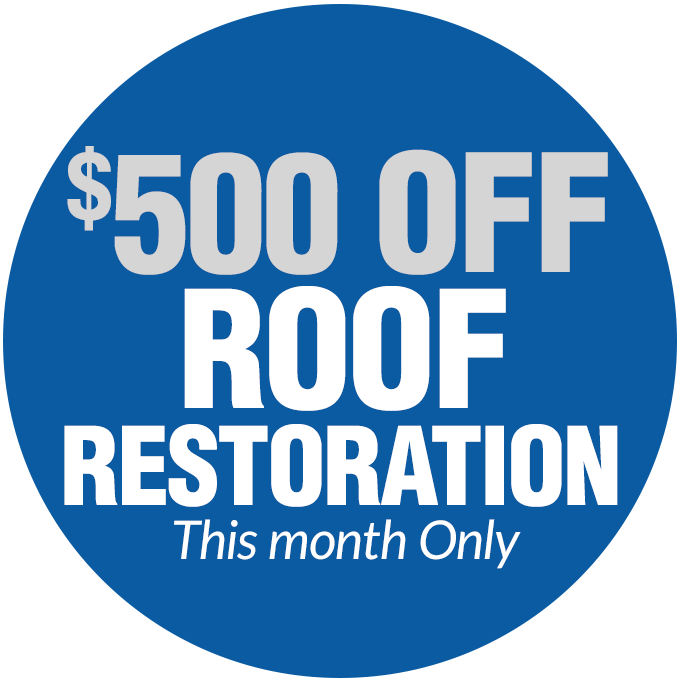 Westcoat® supply you with genuine written roof restoration warranty, warranting you for up to a period of 10 years. If you don`t get this warranty then you simply don`t have a warranty. At Westcoat® we only use genuine roof membranes from Nutech or Dulx paints. Roof membranes have been trailed and tested in our harsh environment for the past 45 years, it has been proven to be the toughest product on the market for longevity when it comes to protecting Perth properties. Westcoat® fully insured roof restorations applicators are uniformed qualified trades professionals that will leave your home completely water tight and protected form Perths harsh weather conditions. Westcoat® specialise in single and two storey homes providing our services to residential, strata and commercial properties of all sizes and are available to all the local suburbs throughout Perth. Call the professionals at Westcoat® Perth`s Roof & Gutter Restoration Specialists today for more information on your metal roof coatings requirements. Call Us for free no obligation roof inspection and we will provide you your detailed written roof repair or roof restoration quote. We Provide you professional advice on the right roof repairs or roof restoration for you properly to prevent leaks and further damage. Roof restored within 2 weeks from your quote acceptance by one of our fully insured, uniformed skilled tradesmen.